Three of the leading contenders for the Breeders' Cup Classic – Accelerate, McKinzie and West Coast – had their final serious preps at Santa Anita in Arcadia, Calif., on Saturday. Meanwhile in Louisville, Ky., whose Churchill Downs hosts the two-day championships on Nov 2-3, a plane carrying 22 European horses, including two-time Prix de l'Arc de Triomphe winner Enable, arrived around 2 a.m. on Saturday morning. Today's Breeders' Cup News Minute also previews which leading contenders will be having their final preparations on Sunday morning at Churchill Downs. Watch the Breeders' Cup News Minute below. 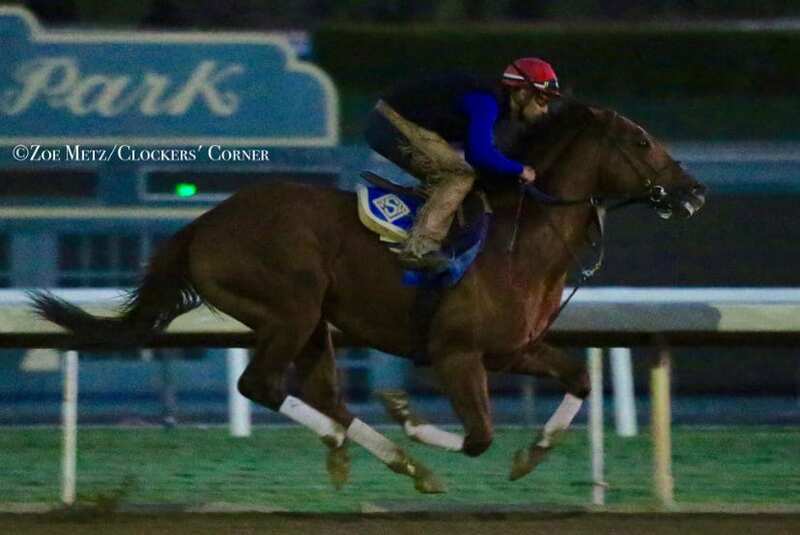 This entry was posted in Breeders' Cup, News Minute and tagged 2018 breeders' cup, accelerate, axelrod, Breeders' Cup, Breeders' Cup News Minute, catalina cruiser, mckinzie, News Minute, Paulick Report, Ray Paulick, west coast by Paulick Report Staff. Bookmark the permalink.